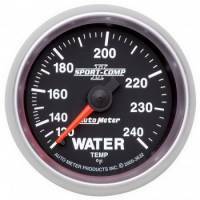 Today's electric and mechanical gauges are extremely accurate ways to monitor critical systems and prevent failures in race cars and street machines and PitStopUSA.com has a huge selection to choose from. 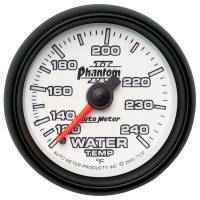 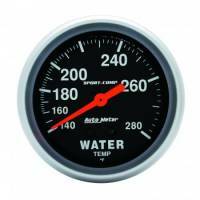 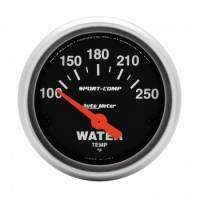 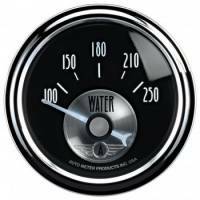 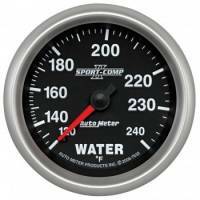 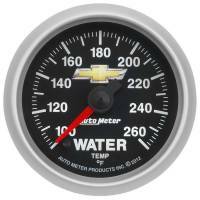 Mechanical gauges do not require 12V power to operate and highly accurate making them the popular choice on race cars. 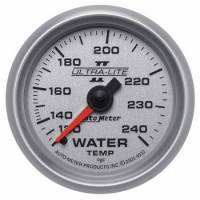 Mechanical gauge readings are created through tubing or lines eliminating the need for electric signals. 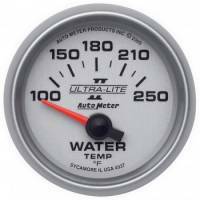 Electric gauges don't require connectors and tubing coming out the back, can be mounted in a variety of positions and in are easier to install in tight areas. 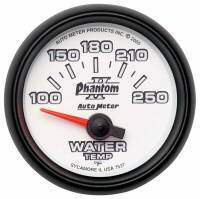 Electrical gauges eliminate the possibilty of fluids from entering the cockpit. 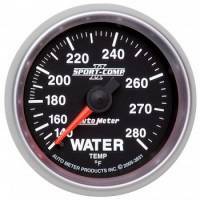 Pit Stop USA has the mechanical and electric gauges that are ideal for your race car or high performance street machine. 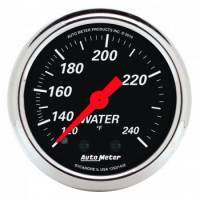 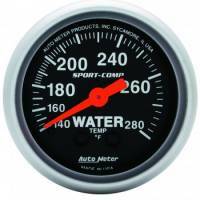 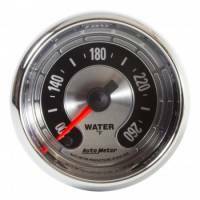 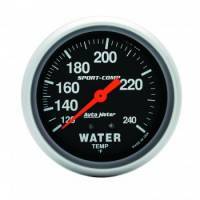 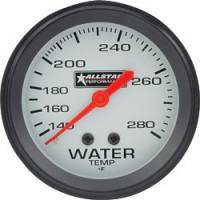 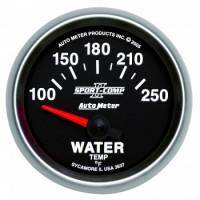 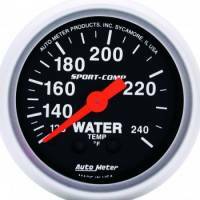 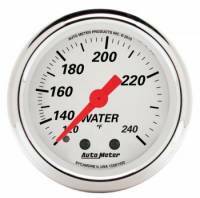 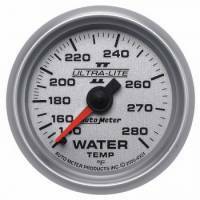 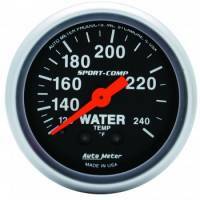 Auto Meter 100-240 Sport-Comp Water Temperature Gauge - 2-5/8"
Auto Meter 100-240° Sport-Comp Water Temperature Gauge - 2-5/8"
Auto Meter 100-280 Sport-Comp Water Temperature Gauge - 2-5/8"